Film Plot: A pharmaceutical company captures King Kong and brings him to Japan, where he escapes from captivity and battles a recently released Godzilla. Grade: C7-C8	Fine to Very Fine. Folded, single-sided. Unused poster with minor handling/edge/surface wear, would grade even higher if not for light fold wear and a slight mis-fold at the cross-folds. Fresh original colors! 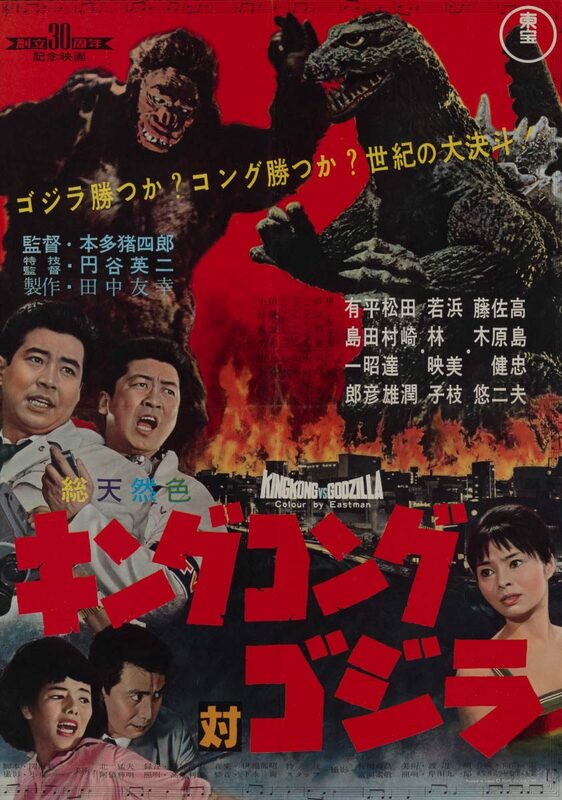 Kaiju is the name of the “giant monster” film genre in Japan. 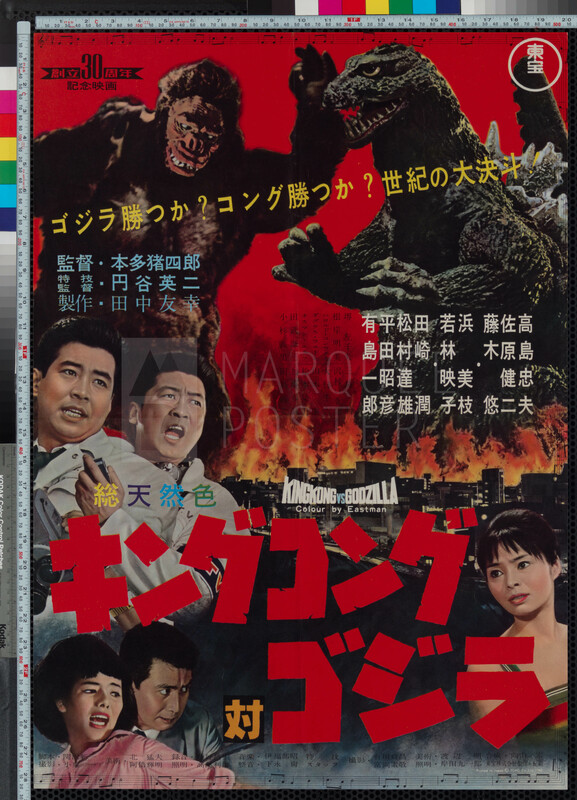 Interestingly, the Godzilla film series was inspired in-part by the 1952 re-release of “King Kong” in Japan followed quickly by “The Beast from 20,000 Fathoms” in 1953. The Japanese title of the latter was “原子怪獣現わる”, which translates to “An Atomic Kaiju Appears”. Godzilla premiered in 1954. King Kong vs. Godzilla was the 3rd film in the Godzilla series. It proved so popular that it had a whopping 4 theatrical releases over the years! 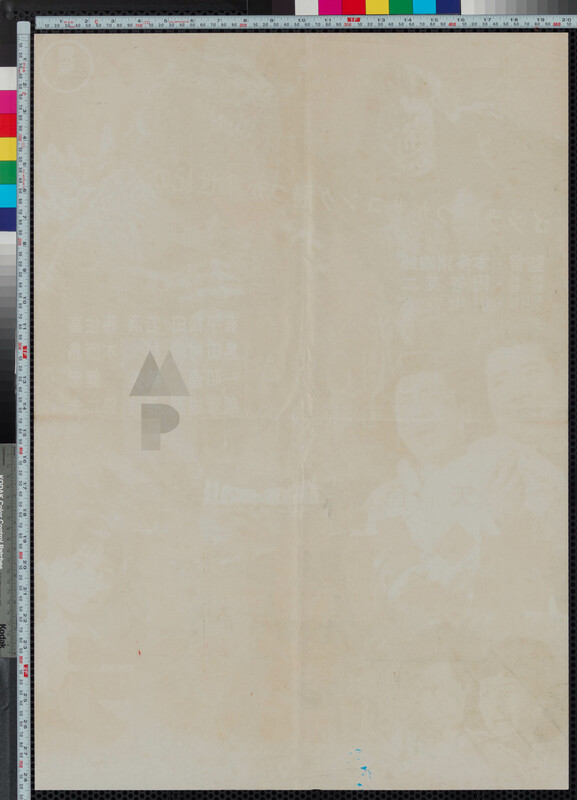 This is the real deal first release country-of-origin poster from 1962. It’s incredibly rare and to my knowledge hasn’t been sold publicly in the west. Don’t miss this incredible opportunity!